Is Your Liturgy Like What Vatican II Intended? 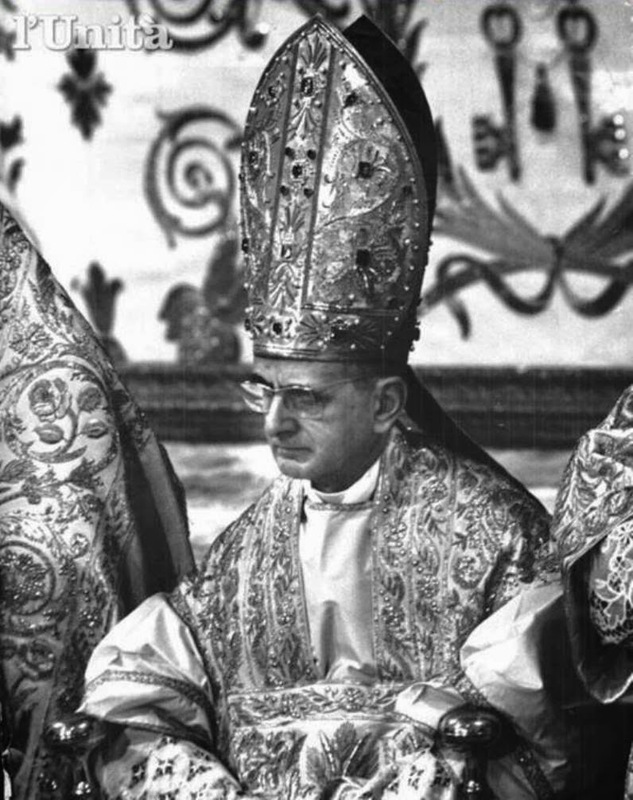 Fifty years ago, the Second Vatican Council’s Constitution on the Sacred Liturgy, Sacrosanctum Concilium, was promulgated by Pope Paul VI and nearly all the fathers of the conciliar assembly. Having considered the glaring discrepancy between what the Constitution says and what has become its legacy, one’s thoughts naturally turn to him—the Pope who, on the one hand, insisted, against the innovators, that the venerable Roman Canon be retained in the Latin rite, and, on the other hand, approved the most radical reconstruction of the liturgy ever witnessed in Church history. 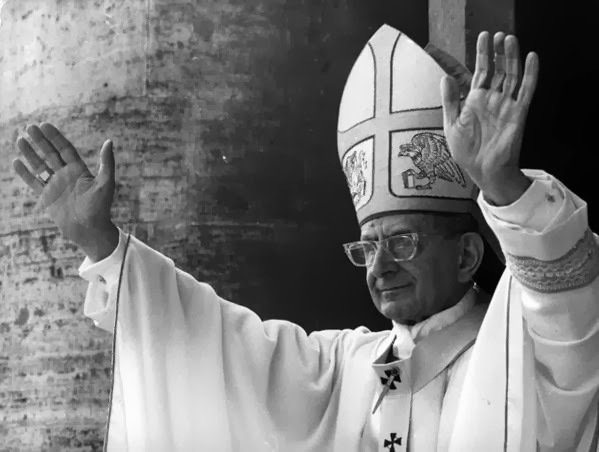 No doubt about it: Pope Paul VI is a complex and difficult figure. It is one thing to cling to righteousness and suffer rejection and opprobrium, as did Our Lord Jesus Christ, the ultimate “sign of contradiction”—and as his Vicar, Paul VI, did at certain times as well. Humanae Vitae is the most shining example, even though its teaching is rejected, say the polls, by the vast majority of Catholics today. It is another thing, however, to have taken revolutionary steps that led, by an avalanche effect, to confusion, dismay, abuse, amnesia, rupture, and infidelity. He himself intended no such effects—and yet they came, came in abundance, occasioned and even abetted by some of his actions. The proper implementation of the Constitution on the Liturgy [Sacrosanctum Concilium] requires of you that the “new” and the “old” be brought together in a bond that is both suitable and beautiful. What must be avoided at all costs in this matter is that eagerness for the “new” exceed due measure, resulting in insufficient regard for, or entirely disregarding, the patrimony of the liturgy handed on. Such a defective course of action should not be called renewal of the Sacred Liturgy, but an overturning of it. The liturgy, in fact, displays a similarity to a hardy tree, the beauty of which shows a continual renewal of leaves, but whose fruitfulness of life bears witness to the long existence of the trunk, which acts through its deep and stable roots. In liturgical matters, therefore, no real opposition should occur between the present age and previous ages; but all should be done so that, whatever be the innovation, it be made to cohere and to concord with the sound tradition that precedes it, and so that from existing forms new forms grow, as through spontaneously blossoming from it. We may notice that pious persons will be the ones most disturbed [by the changes], because, having their respectable way of listening to Mass, they will feel distracted from their customary thoughts and forced to follow those of others. Not Latin, but the spoken [vernacular] language, will be the main language of the Mass. To those who know the beauty, the power, the expressive sacrality of Latin, its replacement by the vulgar language is a great sacrifice: we lose the discourse of the Christian centuries, we become almost intruders and desecrators in the literary space of sacred expression, and we will thus lose a great portion of that stupendous and incomparable artistic and spiritual fact that is the Gregorian Chant. We will thus have, indeed, reason for being sad, and almost for feeling lost: with what will we replace this angelic language? It is a sacrifice of inestimable price. Is this the same man, the same thinker, the same pope? In the first address he is exhorting the group of experts to adopt continuity as their guiding principle; in the second address, he is apologizing to the people for the massive rupture about to occur, which he then went on to justify for “pastoral” needs. How exactly can genuine pastoral needs be opposed to true theological and liturgical principles? How exactly is abandoning vast swathes of tradition a response to the teaching of Vatican II, which not only reaffirmed the place of Latin in the liturgy but exalted the place of Gregorian Chant as no council had ever done before? A pope of contradictions. He praised Latin and urged its preservation in many speeches—but he also approved and defended its virtual abolition. He defended the inseparable connection of the unitive and procreative meanings of the marital act—but he also paved the way to an increasing acceptance of secularity and secularism in relations with modern governments and the United Nations, institutions that have turned violently against marriage and children. He wept at the opening of the first abortion mill in Rome, yet inasmuch as he did not violently resist modernity and all its pomps and works, he contributed to an environment in which an abortion mill was not, for the people of Rome, an unthinkable abomination but rather a sign of Modern Progress. He famously lamented that the smoke of Satan had somehow entered into the temple of God—but he had thrown open so many windows of that temple to a profane, anti-Christian worldview that he should hardly have been surprised when some of Satan’s smoke came drifting in. What we saw in the pontificates of John Paul II and Benedict XVI was an heroic effort to shut and bolt many of those windows, to restore much of what had been rejected or forgotten, to reorient the faithful towards the Good with unambiguous moral teaching, to lead us into the Truth with profound and precise theological doctrine, and to enrapture our hearts towards the Beautiful by the renewal of the sacred liturgy and the fine arts. The shallow innovation and rude experimentation that characterized the 1960s and 1970s began to crumble as the Catholic identity of the faithful was kindled anew. We are at a decisive crossroads: the proponents of the legacy of rupture are still numerous and strong, and although the momentum of young and educated Catholics is no longer with them, there are structures that perpetuate the errors and missteps of the past, and there is also a combination of widespread ignorance and indifference that helps the status quo remain the status quo. Never have the patient teaching of orthodox Catholic doctrine and the fervent practice of traditional Catholic worship been more important than they are now, when the very transmission of doctrine and the very essence of worship are at stake—things that could once be taken, in a way, for granted. We cannot undo the errors of earlier shepherds, but we can and must spread the good doctrine and sound model given to us by our tradition and by our best shepherds. This is our decisive and irreplaceable work at this moment of trial, in this season of grace.